A relaxed, informal mood and breezy outdoor lifestyle permeates the precinct, especially in summer. Wander down to Esplanade’s laneway “eat street” where enticing open-air kitchens enrich the buzzy pedestrian experiences at ground level. 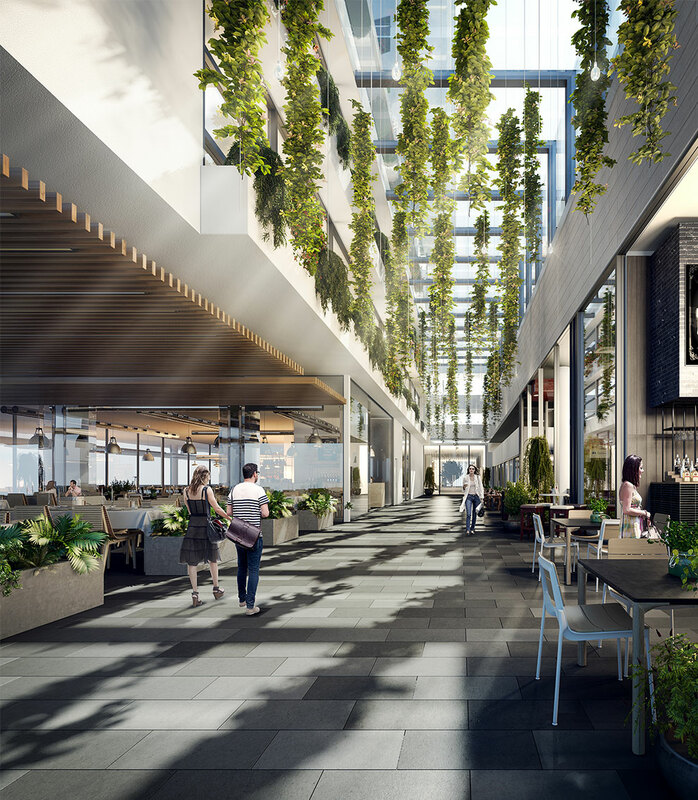 Inspired by the new wave of celebrated dining lanes such as Melbourne eateries, Esplanade Lane will be alive with tastes, flavours and sensory experiences as authentic eateries cluster below a stunning triple- height cascade of trailing greenery. It’s a place to mingle, people watch, or simply lap up the vibrancy and atmosphere of a village-style laneway dedicated to casual dining and the theatre of food.